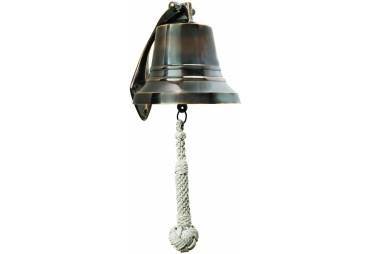 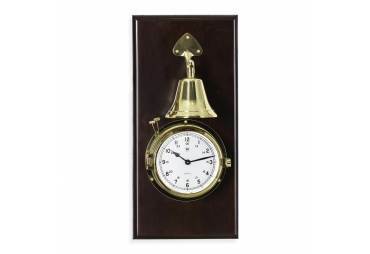 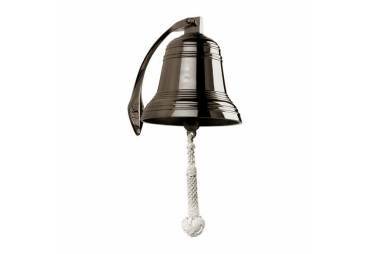 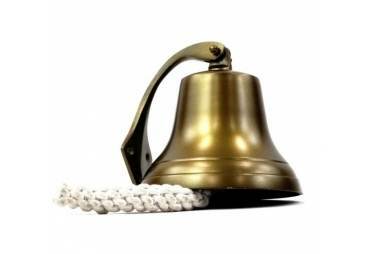 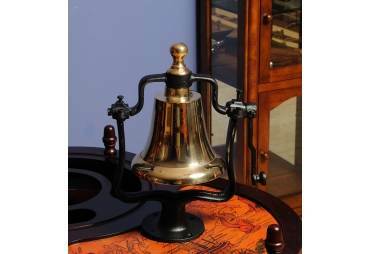 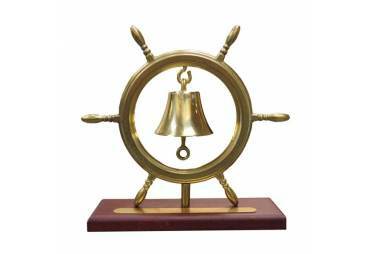 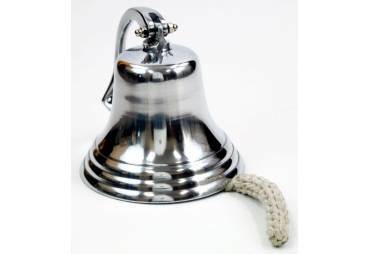 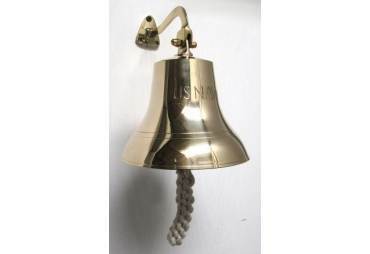 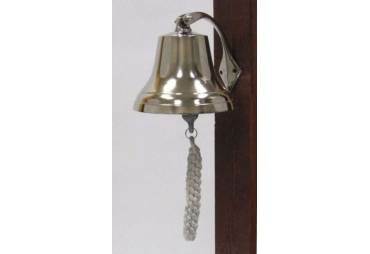 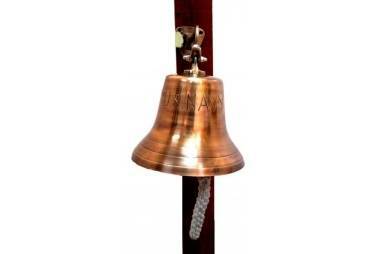 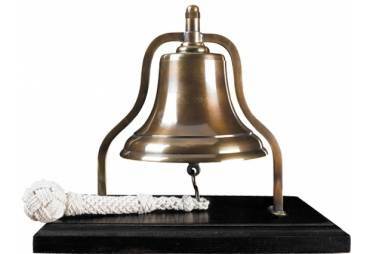 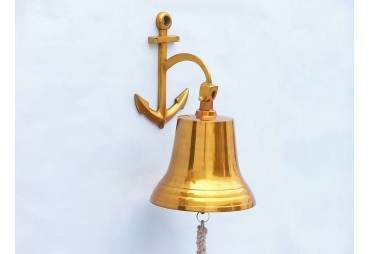 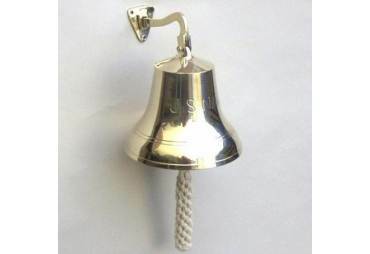 The Mariner Bell Award offers nautical charm as you strike the bell to recognize a top performer. 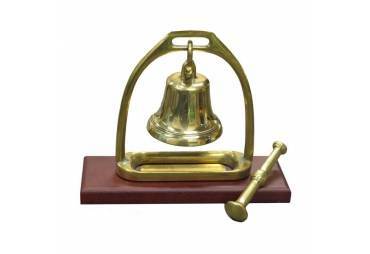 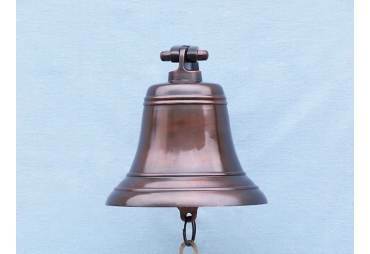 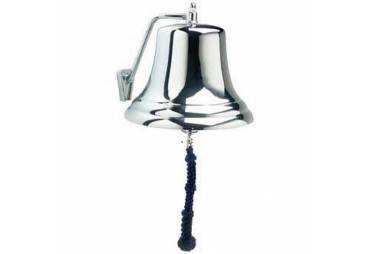 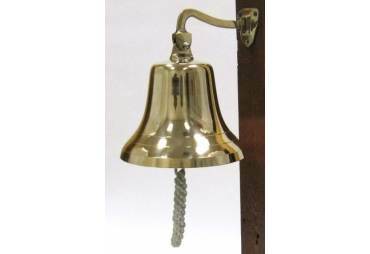 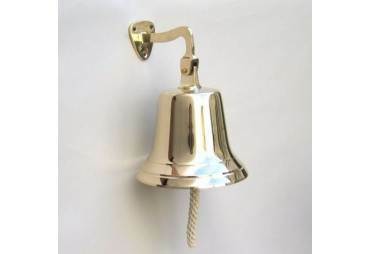 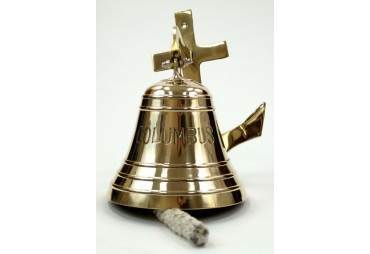 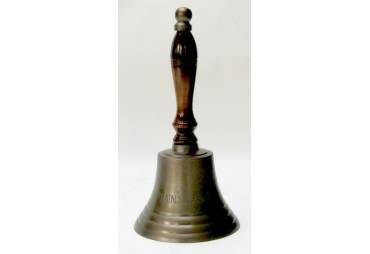 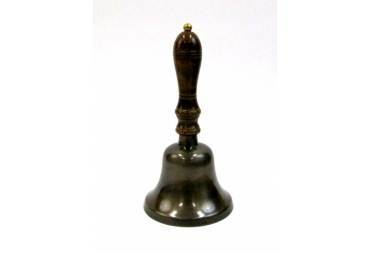 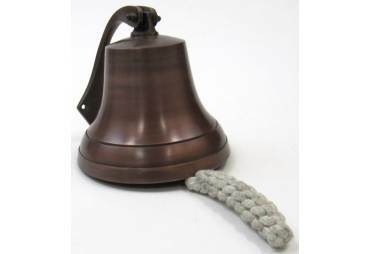 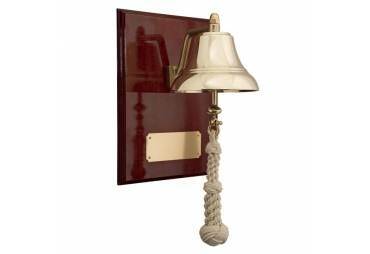 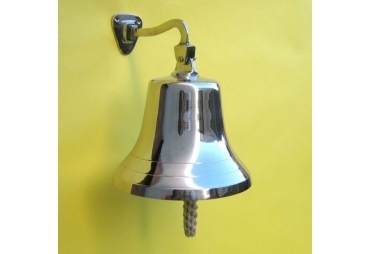 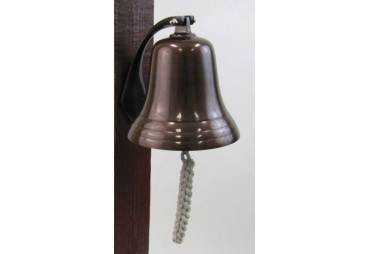 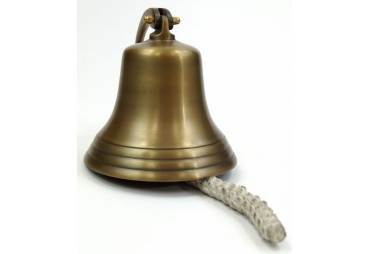 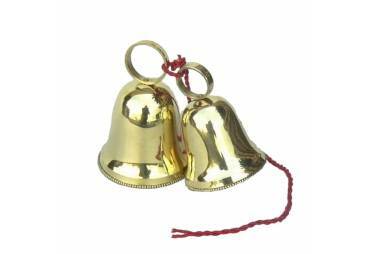 This brass bell is mounted on a wood base and the solid brass "striker" sits below when not in use. 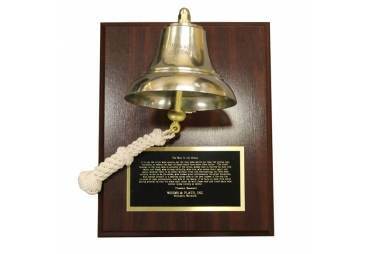 The engravable brass plate can be placed under the bell on the wood base. 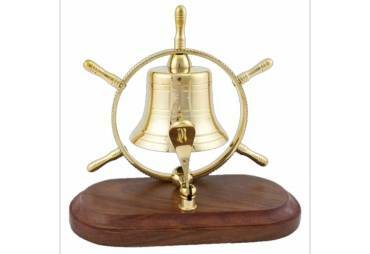 This commemorative piece is a charming addition to any trophy shelf.